My name is Monica and I'm the owner of The Little Things with Mo blog which focuses on the theme: how to love life one little thing at a time! I do it through these four things: daily life, food, travel, and medicine. What is a little thing? Its basically things or moments or feelings that happen throughout your day that makes your day better, but you may not consciously recognize it. Example: Stepping into an air-conditioned room after being outside on a hot day. 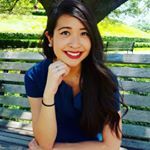 I am currently an OB/GYN resident spending my free time with my family and friends exploring the Dallas restaurant scene, traveling the world, and finding the little things in life!